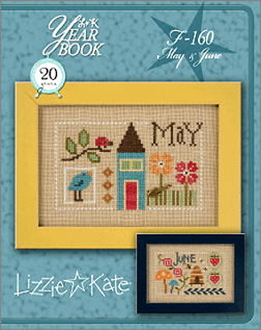 Two lovely designs featuring summer themes with some of Lizzie Kate's favorite cheerful motifs. "May" is adorned with the enclosed Garden Shovel charm, and a Dragonfly Charm adorns "June". Part of Lizzie Kate's Yearbook Double Flip series. Chart includes a Garden Shovel and Dragonfly charm.